I couldn’t quite put my finger on it, but something was off at our home. The kids were constantly bickering with each other. My husband and I were short with our words. No one was being outright rude, but no one was being gentle either. And my spirit had had enough! I realized that a change first needed to start in my heart, so I prayed that the Lord would help me change this spirit of dissension in my home. He led me to the book of Philippians where it seems that there were two women in the church that were not getting along so well. I let that sink in for a minute. Had I been gentle with my husband and with my children? No, I had not, so how could I expect them to be gentle with each other?? First I had to change the tone in which I spoke to them and then ask that they do the same. And guess what? As I changed the way that I approached them, I started to see a positive change in them as well. But my ultimate motivation for treating my family with gentleness is because I believe that the Lord is near and I certainly don’t want to disappoint Him. I can’t be short with my kids or husband and expect the Lord to be gentle with me. 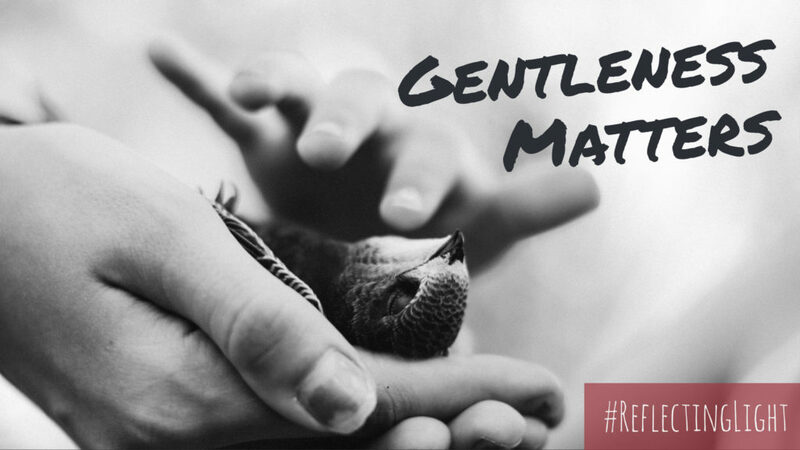 Gentleness matters. If by chance you find yourself in my shoes, remember Paul’s words and let your gentleness be evident to those you interact with because the Lord is near! April, thank you so much for this devotion. It is just what I needed to read today! God has perfect timing! Kim, I am so glad! Thanks for your support.